High Access Hire, Cabling or Lighting project? We’ve got you covered. High Access Group is a family owned group of businesses with a reputation for excellence. We specialize in three core divisions; Electrical Cabling Services, High Access Equipment Hire, and Lighting Design and Manufacturing. Our success is attributed to our quality customer service philosophy. We are committed to providing outstanding service and strive to develop long-term strategic relationships with our clients, delivering reliable equipment and customised services in a timely and efficient manner. Conducting our business with integrity, reliability and innovation are attributes underpinning our work ethic. Our qualified and experienced staff can offer tailored solutions to meet any sized project. No job is too big or small. 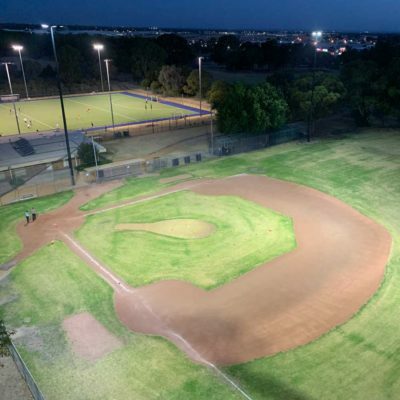 We are based in Melbourne and service a broad range of industries throughout Australia, from small private companies to large commercial jobs and local government projects. Registered, insured and fully compliant (REC 16801) electrical contracting business that specializes in providing electrical services on public infrastructure. At High Access Hire we offer an expansive range of access equipment for hire. Our fleet of Elevated Work Platforms service a wide range of heights and industries. We offer reliable equipment that is available 24/7. Cutting edge lighting design and manufacturing – with customized solutions to meet your lighting requirements. High Access Tower is a service provision of access equipment at heights. 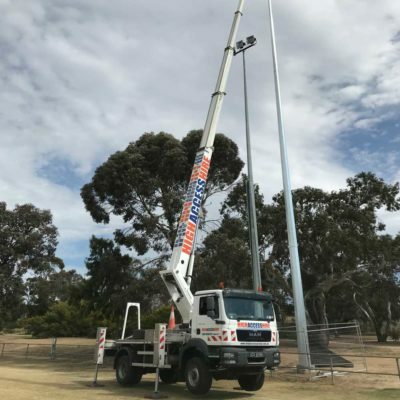 We specialise in large truck-mounted Elevated Work Platforms for the Telecommunication industry. Our range covers vehicles up to 72m in height. 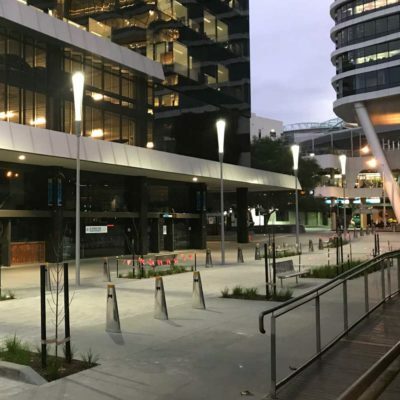 View some high access recent projects, showcasing electrical work and lighting installations, completed throughout Melbourne and surrounding suburbs.